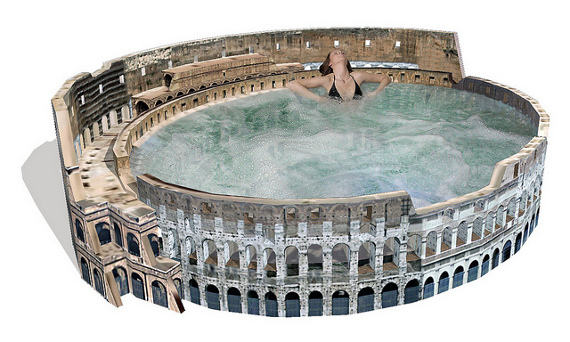 This Colosseum based hot tub idea is hilarious. And fabulous. And should be produced! Well imagined, Daniel Lincandela.